Authorities say a man, his wife, his ex-wife and his son are dead in a triple murder-suicide apparently stemming from a custody battle. Ida Siegal reports. 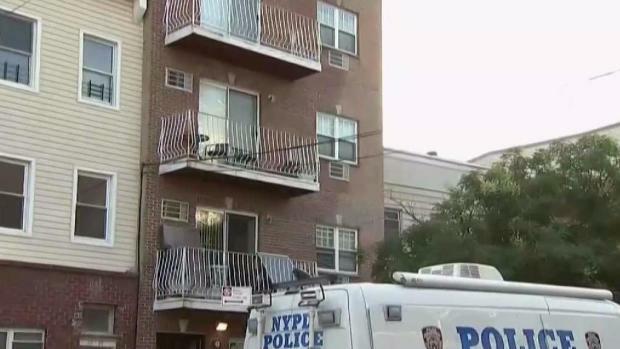 Authorities investigating the shooting deaths of four people -- a 6-year-old boy, two women and a man -- in an Astoria apartment said Tuesday the murder-suicide may have stemmed from a trans-Atlantic custody battle. The suspected shooter has been identified as James Shields, who was found dead in the first-floor apartment of an apparent gunshot wound late Monday. His throat had also been slashed. 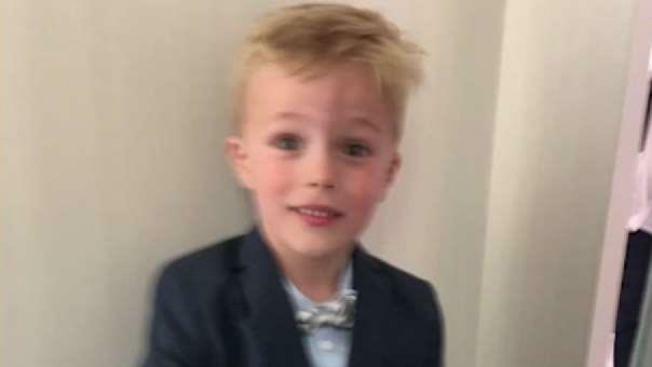 Cops believe he killed his 6-year-old son Giacomo James Shields, who was called Jimmy, his ex-wife and another woman before taking his own life -- a gruesome crime in a neighborhood known for its eclectic restaurants and beer gardens. One of the women killed has been identified as 47-year-old Linda Olthof. The Dutch Ministry of Foreign Affairs previously identified one of the women as the boy's mother. Shields' father said Tuesday that his son was in a bitter custody dispute with his ex-wife, and that she had been preparing to take their son to the Netherlands next week. The bewildered father, sitting outside the Astoria building Tuesday morning, said his son was "a good man" and that his grandson was "a beautiful boy." Shields posted on GoFundMe in April under the subject "Child Kidnapping" that his Dutch artist ex-wife only wanted the boy in the U.S. two weeks a year. He called the arrangement something "I just can't accept as a father" and said in the post that his perfect life had "spiraled out of control." The four were found dead inside an eight-unit building after officers responded to the first-floor apartment at 30th Drive and 23rd Street, NYPD Chief of Detectives Dermot Shea said at the scene Monday night. A gun was recovered at the scene near the bodies, according to authorities. It's not clear who called 911, but authorities were interviewing that person. "We don't want to leave any stone unturned," Shea said. "There are calls that we believe are going to be related to that building, but it's a little preliminary." The investigation brought a throng of officers to the low-rise brick building, some in heavy tactical gear, as well as police dogs. In the home, police found two Glocks and seven magazines fully loaded. "That's an interesting wrinkle in this case," said police officials. "That's approximately extra 70 rounds. What those rounds were meant for may never be known." Stunned neighbors were at a loss. "I understand taking a child away from a parent is a difficult thing in of itself but to commit murder over it is frightning," said Jordan Brettholz. "To take your own child's life, you have to be very mentally unstable," he said.